When is Federal University of Petroleum Resources, Effurun, FUPRE Post utme screening form for 2019/2020 coming out? Is the form out? These are the questions most aspirants of FUPRE have been asking about,in this article we shall give you an A-Z guide on how to apply and finally process your post utme forms. All 2019/2020 jamb candidates who choose FUPRE as their first choice of institution and where able to get a jamb score of about 180 are considered to be eligible to take the FUPRE screening exercise coming forth soon. Another criteria you must meet hinges on your O level results, candidates who were able to get 5 credit pass ( including use of English Language and Mathematics) are also considered eligible. Those who are with out results or awaiting results should not worry as all results on NECO, WAEC should be released by then. We believe that by now you have a functional email address and phone number. Candidates who refused to upload their passport will be disqualified from the screening exercise. While processing your form ensure that all information supplied are correctly entered such as your names , jamb registration number etc. The institution won’t be held accountable for any wrong details. Take note of the password you chose, write it down on a piece of paper. Cross check all information you have entered carefully to see if they are correct before clicking on the submit button. Your proof of payment which is the Rimita print out that shows that you actually paid the 2000 naira as instructed. Come along with your acknowledgement slip and attached 3 recent passport on it. Finally don’t fail to come with your writing materials such as HB pencil and biro. Keep your handset and other gadgets at home. Any candidate that fails to show up on the date of the screening exercise won’t be considered for admission. FUPRE is known and has been known to admit candidates through UTME. FUPRE will subject all candidates to take a written interview known as post UTME exercise. FUPRE admission process is based on merit only. There is nothing like runzing or having longer leg. FUPRE admit students who have meet all requirements like having all 5 credits which is a must. FUPRE is a specialized higher institutions established for the sole purpose of supplying specialists and expertise that knows what it takes to run the Oil & Gas sector successfully. Over the years there has been a shortfall in the number of indigenous specialists this has made Nigeria to depend on foreign expatriates who are not only expensive to maintain but charges exorbitant fees in hard currency. 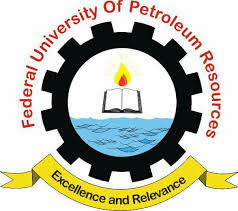 If you want to pursue a career in the oil and gas sector and you really need an institution that has all it takes to impact the needed knowledge and skills into you then you talk about Federal University of Petroleum Resources Effurun (FUPRE) which is located in Delta state.